HEY MY FELLOW HOPPERS LONG TIME NO SEE!!! It's been absolutely crazy for me! I'm in a new spot with a new place, with new family! But news is good. I'm sorry I haven't been around, but it's been a BUSY couple of months. But FINALLY I'M BACK!! so lets get started with an update. 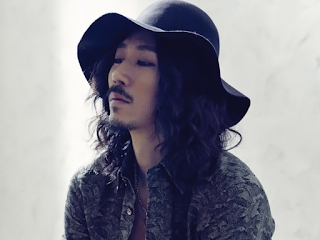 The last you saw me we talked about "She's Gone" by Jong Ilhoon, and SanE and Mad Clown's "Butterfly, " but there are several other comebacks I want to talk about. 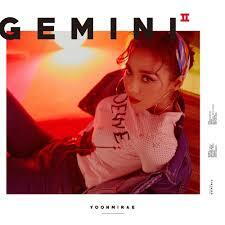 Anyway, Yoonmirae has come up with several new singles in the past couple of months....and her new album "Gemini 2 " is one of my new favorites of the year !! The album has some MAD features with people like my boy Junoflo ya'll know I love me some Juno. Double K , Tiger Jk, And Champagne are just to name a few more. But with a name and the Bad A$$ ness that she has how can you expect any less.